Isn't it interesting to know who views your profile. In this post I will tell you if their is really any working tricks or way to know your Facebook profile visitors or if it's a rumor. Isn't it will be interesting to know who visited your Facebook profile and keep track of your Facebook profile daily? Everyone would like to know who is most interested on them. Many social networking sites allows their users to keep track of the users who visited user profile. But, Facebook doesn't allows their users to see who is the last visitor or biggest stalker. Now the question arises, is there any real working trick that allows to see who's your biggest stalker on Facebook? We will talk about it a little later. 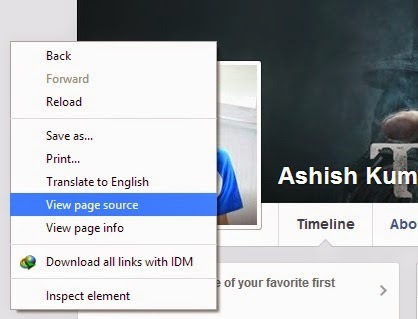 While searching on Google you may be familiar with the Initial Chat Friend List trick that can be seen through the source page of your Facebook profile. 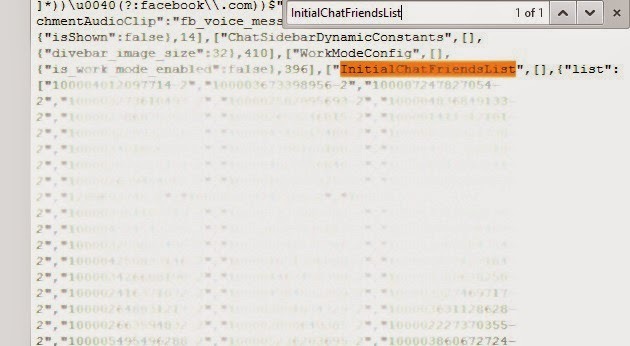 After reading the trick about the Initial Chat Friend List of Facebook, if you really think that the ID's you get from the source page is of the user who last visited your profile than you have been fooled. This trick doesn't shows the ID's of the last visited users. It is the initial order of friends displayed on the right hand side chat bar when the page is loaded which is ranked on number of factors. When I checked the ID's from the source page using InitialChatFriendlist than I found it's my friend with whom I have last chat. I checked up to five friends and the results says that this trick dosn't allows to know the last visitor of Facebook Profile. Beware! The applications that says or promises to show you the persons who visits your profile the most are fake. If you will give or use your log in information with these applications than it may access your profile or may result in hacking of your account. Also, never place any codes using these applications and software on your browsers console. Anyway, it will also be interesting to know, who is the person which Facebook considers you're most likely to chat. Interested in knowing the trick? Follow the steps explained below. First of all Login to your Facebook Profile. After logging in, right click anywhere in the page and click on view page source. In the source page search for the following code. Tip: To search for any code in the source page Press CTRL+F if you use Windows or Press Command+F if you use Mac OS. After opening the search box write the code in the text field and hit enter key. After searching the above code you will see the ID's of all your friends arranged in initial order on the cat box displayed on the right hand side. Tip: The ID will be in the form XXXXXXXXX-2, XXXXXXXXX-3, XXXXXXXXX-0 etc. Just use the one before -2, -0 etc. Now the question is, how to know your friends profile with the use of those large numbers of ID's. It's very simple to know the profile address. After getting the ID of your last interacted friends follow the following steps to get into his/her profile. Just type the www.facebook.com/ URL in the browsers address bar. After typing the Facebook URL, you will need to type the ID that you got from the source just after the forward slash in the Facebook URL. See the example below. The XXXXXXXXX in the above URL will be the ID of your friend that you get from the source by following the above steps. Great! You did it! You are now on the profile of your friend you're likely to chat. Initial order of friends are determined by Facebook in number of ways. If you have followed some scam applications to know the last Facebook Profile visitor than you will need to secure your profile to keep your account protected. Don't forget to change your password. Read the post at how to keep your Facebook account secure to know more about Facebook security tips. 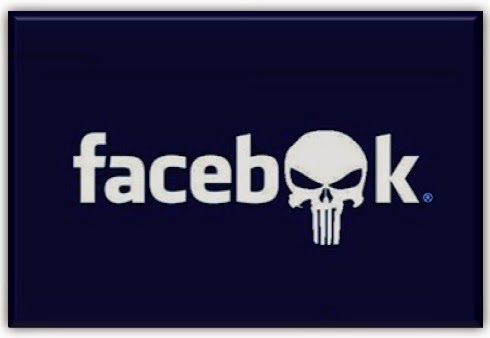 If you're still looking for a way from which you can know your Facebook Profile stalkers than you should stop searching for it right now as their isn't any way for you to know this unless Facebook allow this service to their users. At this moment, Facebook don't allow knowing your profile visitors and their isn't any hope of this feature in near future. That's all! Keep visiting for more tips and tricks on Facebook. Thank you. Your comments gives us spirit to continue writing. This post was last updated on 2014. These ID's is the initial order of friends which you see in the chat box in right hand side of box. Read the updated post. Nice post Ashish but the technique is not very useful, i tried it many time earlier before reading your article. But at least you write a post on this topic which is a welcome step. Keep writing don't worry about anyone's comment who want to demoralize you. Keep doing your work.